In Round 15, The Hampton Rovers continued their dominance in Division 1 with a hard fought 13 point victory over Oakleigh at Boss James Reserve. Prior to the weekend, Oakleigh had won 7 consecutive games since the last time the Rovers crushed them by 40 points. This time around, it was a war of attrition as the Rovers held a slender lead all day to a persistent Oakleigh outfit. Kicking with the wind in the first, the Rovers kept the opposition scoreless but only managed 2.6 as the breeze was increasing. Campbell Hetherington was prominent up forward with help from his assistants Sam Clements and Daniel Corp. Ant Folino was also in early form, while the backs in Pavlou and Atkins controlled the football from the backline from the get-go. The second quarter started with a flurry of Oakleigh behinds. Six points on the board before they registered their first major but Hampton steadied and answered with Folino passing to Clements for a goal. Later, being the recipient of a downfield free, the latter put through his second for the day. The Rovers went into half time with a 19 point lead which ended up being the largest margin of the game. The competition’s leading goal kicker, Cloke, wasn’t getting into the game and the back six worked well to limit his opportunities, including a versatile Matty Reinerts who was having a stellar game. Oakleigh came out firing in the 2nd half of the game, their tails wagging, however goals from Clements, Kneebush and Corp, cemented a fabulous Rovers victory. Great to see a couple of Rovers stalwarts reach milestones this week. Michael Flahive played his 250th game, Daniel Andersen his 200th, Brendan Culvenor his 150th and when we add to this Tom Youl who played his 250th a couple of weeks ago, it’s been a big year for milestone games. In the Reserves, the in-form Rovers ran out 111 point victors against a dysfunctional Oakleigh outfit. From the opening bounce the midfield were hard at the ball, with Broadstock getting first hands on the ball at the ruck content. Nick Jackson, Corey Jones and Tim Jones were prominent in the forward 50 with 12 goals between them. Down back, Nick Jewell and Rory Lynch were solid, controlling the ball and distributing forward for the rebound. The heat map showed the Rovers were using the ball well through the centre corridor often which gave the forwards the benefits of quick entry. The Thirds all but sealed their place in the finals with a long trip out to Bundoora to play Old Paradians. Two milestones today with Leigh Cave playing his 200th Club game and Adrian Hug playing his 150th Club game. In the engine room, Chris Ellison, Christian Harbour and Zach Raghdo were working hard, shifting the ball laterally and down the middle all day. Ash Hoar had another day out in front of goal, booting 4 while Louie Mather held down a resilient backline. 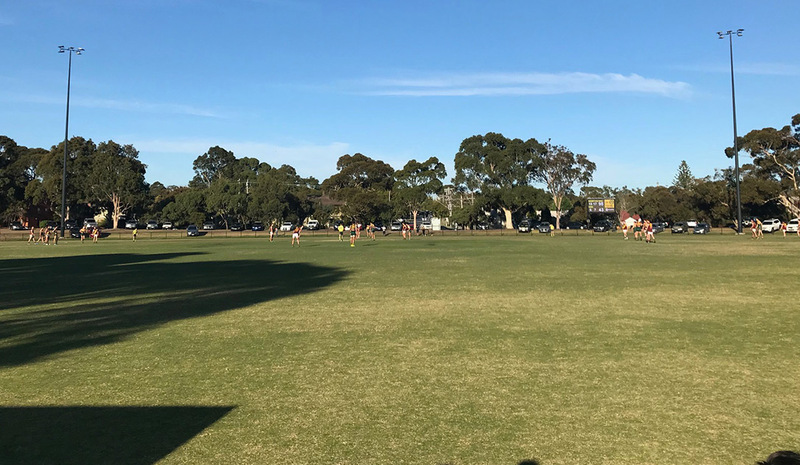 The Under 19s put in one of their best efforts of the year and fell agonisingly close to defeating local rival, Ormond at the weekend. After a tough opening quarter, it was great to see Tom Butters put through the first goal. The game went back and forth for most of the day with each team alternating leads at each break. Ultimately, it came down to the last quarter, where Ormond came out hard and banged on 4 goals to take the lead. We kicked our final goal late in the quarter and in the final 5 minutes had all the play yet just couldn’t put the score on the board. Once again the boys fought the game out right to the end in a fantastic performance.